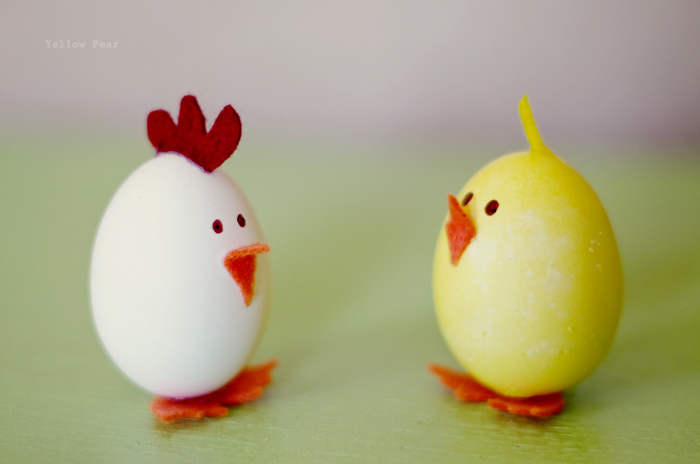 Every year I want to decorate blown eggs and every year I don't. But NOT this year...no more wishing and thinking...I just did it. And I discovered that it's terribly hard. That is until Miss B came home and tried it and decided to make a slightly bigger hole on the bottom and it was so, super slick. Sheesh. She's so clever. And then we had scrambled eggs for dinner. We decided on making a variety of birds. The boys chose chickens and I wanted a bluebird. Miss B was at a friend's house and chose to dye her egg purple when she got home, but we haven't decided what to make with her bright purple egg yet. And we only had one casualty...the first bluebird, but we made another one so it's okay. 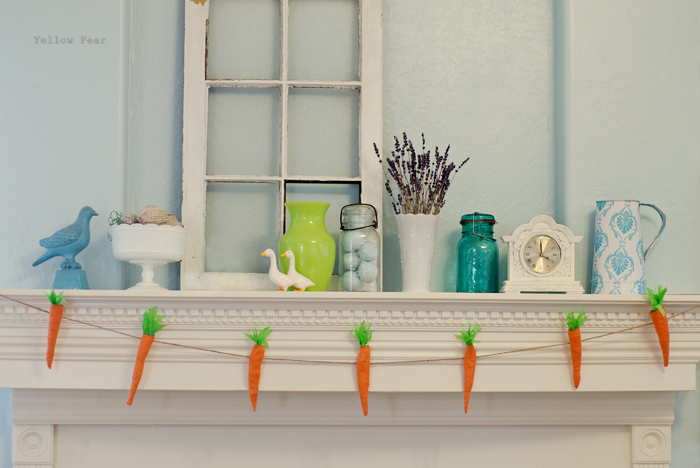 I found these fun crepe paper carrots from Martha. 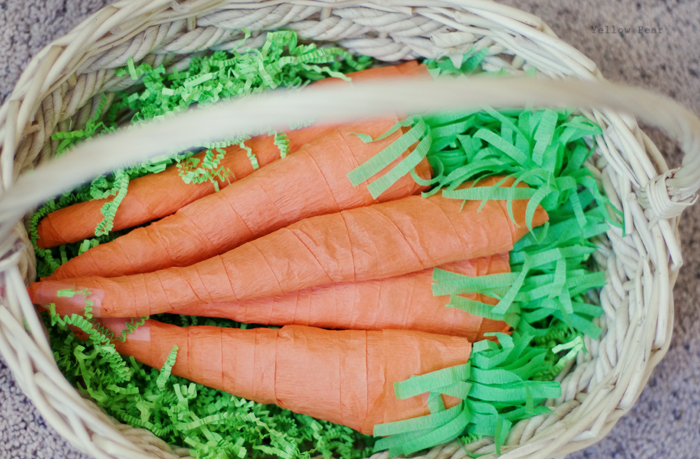 You wrap up little trinkets, candy, money, etc...as you wrap the crepe paper to create a carrot. 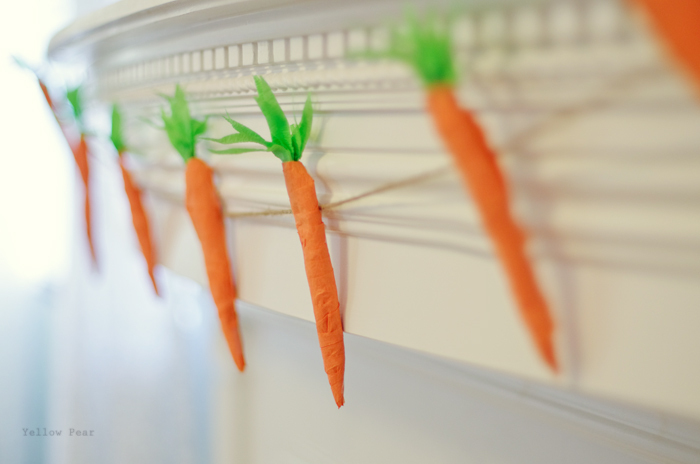 I promptly made some for my kiddos and then my awesome, GENIUS friend Jolene, had the idea to make a garland with smaller carrots. 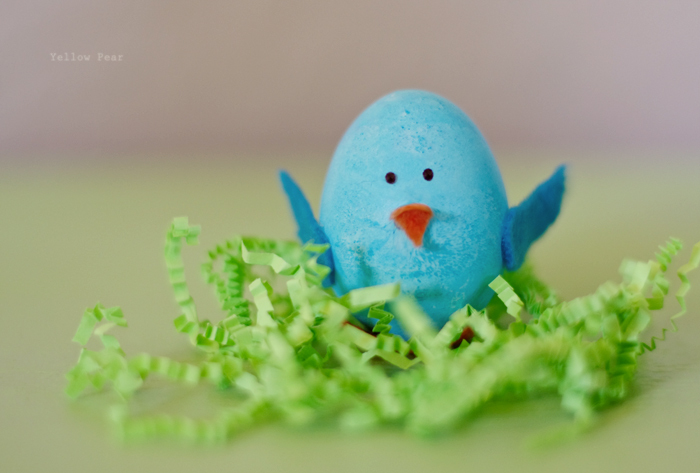 I love it and it looks so festive and Easter-ish on my fireplace mantel. Jolene is a genius! 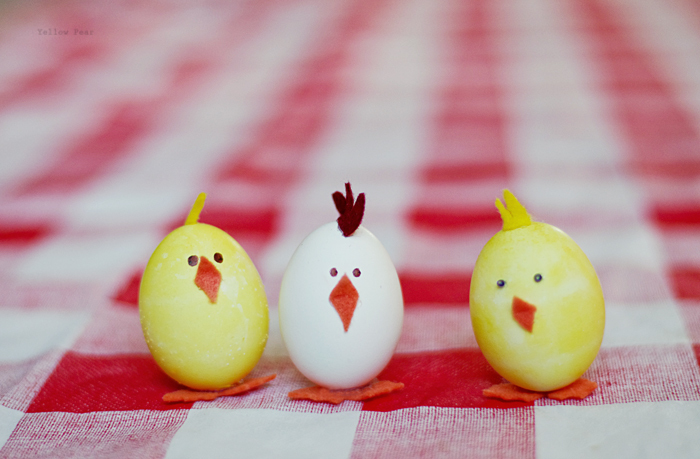 Love the animal eggs, you should've made the purple one into a hippo. This is a fitting of whitish yolk which truly has no known extraordinary reason.